Nevada residents are speaking up and letting it be known that they desire environmental protection for Lake Tahoe. In the midst of lobbying and threats the leaders of the silver state have listened to the desires of the people and removed their threat to dissolve the bi-state Compact and the Tahoe Regional Planning Agency. 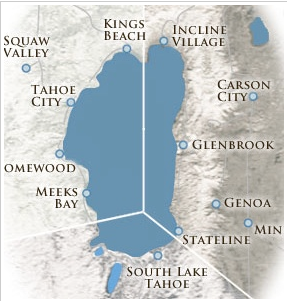 The Tahoe Regional Planning Agency has provided strong environmental protections for over 40 years all over the lake. The Nevada Conservation League also played a huge role in helping with the victory. This will lead to future protection for years to come. Thanks to the strong bi-state agency, Tahoe will maintain eligibility to receive federal funding for wetland restoration. There is also a lake wide boat inspection program that will continue to protect the lake from invasive species. Land-use planning will also be used to ensure responsible development of local communities. This is what being responsible your environment is all about, doing whatever it takes to see that the beauty that we enjoy lasts for generations. It starts with us individually and as we can see from Keep Tahoe Blue and local efforts great things can be done on a large scale to help keep our environment beautiful. This isn’t a chance to rest either, people need to do things everyday to continually help our beautiful environments. I know that there are days when I don’t want to volunteer or help contribute to making Reno more beautiful, but thinking about how everyone pitching in really does help motivates me. I also think about how me helping each day to make the Truckee River and Lake Tahoe beautiful will help future generations to enjoy it one more day. What can you do day-to-day or small scale that could help motivate large groups to do the same for our environment? Let’s talk here! This entry was posted in Uncategorized and tagged bueatiful, dissolved, Environment, environmental, Lake Tahoe, lobbying, Nature, nevada, protection on June 20, 2013 by joshvega.